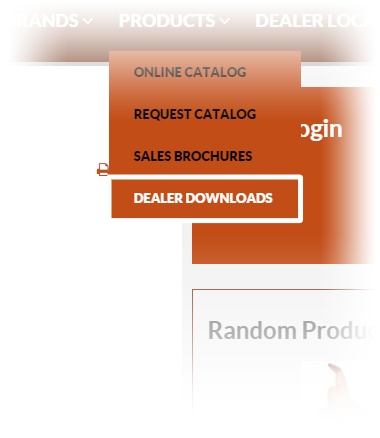 Step 2) Look at the top of the window, the PRODUCTS tab will now have a drop down to the DEALER DOWNLOADS page! You'll be able to click on the link and download your choice of sales brochures, flyers and price sheets. Please keep in mind that you will need Adobe Acrobat FREE reader in order to view the files. 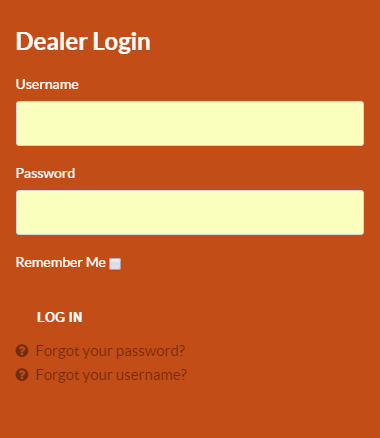 Also, all pricing on sales sheets and price sheets is dealer pricing only. It is NOT RETAIL PRICE.